Don’t dread your next road trip. Make it the best part of your vacation! The next time you plan a vacation, skip the airport. Make it a road trip! Traveling long distances in the car gets a bad rap, but you can make it fun. Use these tricks to make sure your trip is a success. 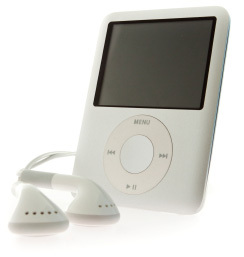 Make sure everyone in the family loads their iPods with their favorite tunes, and take turns playing them while you’re on the road. Throw in a few audiobooks – they'll hold everyone's attention and help the time pass much more quickly. Busy hands are less likely to poke their brothers and sisters. Pack each child a kit full of books, pencils, paper, markers, travel games and small toys to play with when they get bored. On the way home, have everyone switch kits – they’ll have all new things to keep them busy for part two of your travels. Once upon a time, you probably drove as many hours as you could without stopping. Those days are gone now, mama! Kids need to get up, stretch their legs, and breathe fresh air – or else everyone will pay the price. Plan to stop at least every two hours, and don’t rush the stops. Let everyone walk around a little after bathroom breaks. Kids have tons of energy to burn. You're on vacation – have fun! When you come upon something that looks fun or interesting, stop! Be curious and go exploring, you may discover the very best part of your trip. You probably know by now that hungry kids equal whiny kids. Bring snacks – lots and lots of them. Give each child a blank notebook or journal, and have them write about their favorite parts of the trip. If they have cellphones or cameras of their own, have them use those to take pictures to go with each entry. If not, give each child a disposable camera. Some things never change, and travel games are one of them. Teach your kids how to play the same games you did on road trips when you were their age. You remember – The Alphabet Game, I Spy, The License Plate Game and more. It’ll pass the time and get everyone interacting with each other. Check it out!^ These printable games will keep them busy for hours! Will you ever travel solo?